Grant Ward sold Sky Blues to Lameiras. 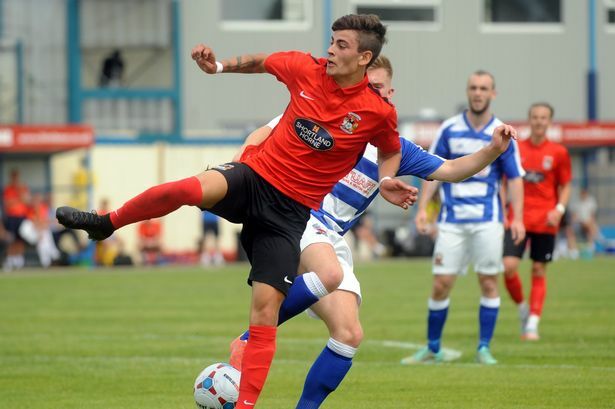 New City signing Ruben Lameiras has revealed former loanee Grant Ward help convince him to sign for The Sky Blues. Speaking to the Club’s official website, Lameiras revealed his former Tottenham academy team-mate gave the Club a glowing reference when asked about the Club. “Grant is one of my closest friends,” the 20-year old Portuguese said. Ward himself was linked with a return to The Ricoh Arena this season, but instead stepped up a league to join Rotherham United in The Championship as he continues his development. Now Lameiras could be viewed as his replacement. “I’ve really enjoyed it and it’s been a great two weeks so far. I’m just looking forward to getting some games and achieving something big for the club this season. “I’ve got on well with the lads and the manager is always telling me things I can do to improve. He’s been a big help from day one. “Being on trial, I’ve looked at it as a way to showcase what I can do, without pressure. I knew some of the boys from before and I’ve loved every minute, I think I’ve done well but I can always improve. « Lameiras signs two year contract with Coventry City.